I won a copy of the audio book on the author's blog and I wanted to thank her by hurrying to get this review out. I picked up the first book in the series, Erasing Time, and listened to it first. You can read that review on Goodreads or on my blog. I liked that one but I liked this one even more. The first book focused on Sheridan and Echo. This time around it's Taylor and Echo's turn. The plot revolves around an attempt to destroy the time machine for good. Things go wrong when an attempt to fix something in the past causes unforeseen consequences in the present. Have these people never read a time travel book? Of course it does! Taylor has to race against the clock to save Sheridan from the villain of the first book and she does it with Echo's help. Despite her best intentions, Taylor finds herself attracted to Echo but no worries, this is not one of those dreaded love triangles. 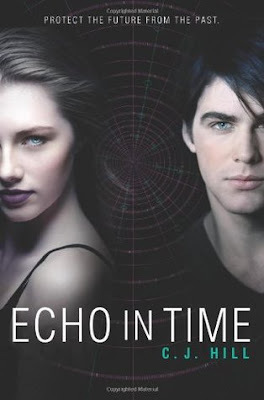 The character growth in this book is stronger than in the first one and both Taylor and Echo have further to go than Sheridan and Echo did in the first one. There are more complications and a ton of action but you still feel like you're going on a journey with the characters and that makes for a better book than the first one in the series. I enjoyed the ride. I give this one an enthusiastic five stars and I'm sorry there are no more books in the series.